The Ontario Blues held on to defeat the Atlantic Rock 22-17 winning the Canadian Rugby Championships and MacTier Cup. 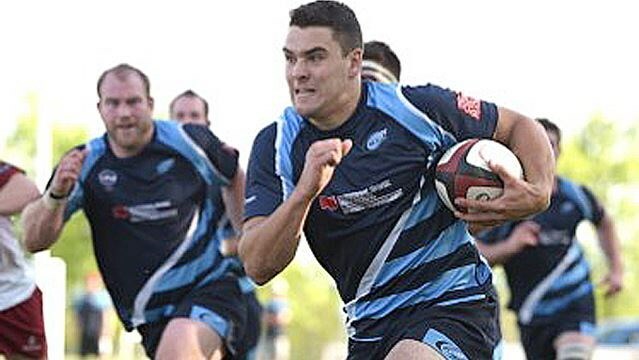 Ontario Blues have been consistent as one of the top teams in Canadian rugby for the past few years. Kainoa Lloyd, Marcello Wainwright, Lucas Hammond and Andrew Coe scored tries for Ontario. Andrew Ferguson added a conversion. Jordan Wilson-Ross scored a try for the Rock, who also got a penalty try. Cooper Coates added a conversion and a penalty. The B.C. Bears downed the host Prairie Wolf Pack 48-32 to win bronze. The Ontario men advanced to the final at Calgary Rugby Park with a 58-36 win over B.C., earning a measure of revenge for the 2017 final when the Bears beat them 30-29. The Rock beat the Wolf Pack 31-14 in the other semifinal.